Autumn Rocks! Enjoy juicy October prices! Sun is shinning and the sea is still warm. See you in Odessa! - huge common area with equipped kitchen. 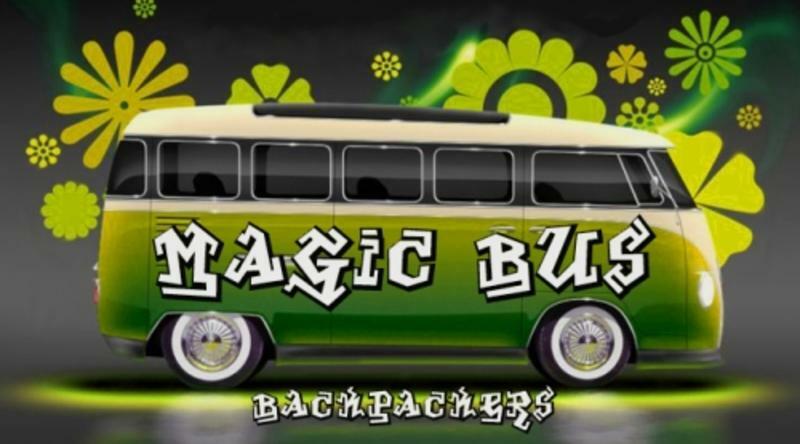 Magic Bus Backpackers is situated at Pushkinskaya Str. 8 apt. 14. You will see a big globe in the arch of Pushkinskaya 8 - get into the arch. If the gates are closed please use intercom at your left. After you enter the yard walk straight and pick the door at your left - it will be in front of your eyes. Go on the 4th floor and find apt.14 at your right. Welcome to Magic Bus! -Take a taxi bus # 117. You will find a bus stop at the right side from the airport exit. You should go in this bus till the cross of Ekaterininskaya (Екатерининская) and Grecheskaya (Греческая) Streets. Then go down Grecheskaya Street for 2 blocks till its cross with Pushkinskaya (Пушкинская) - you will not miss it - it's made of paving stone. Turn left and in 20 meters you'll find # 8. -OR you should hire a transfer from the airport to hostel for 15 EURO. -After leaving the station take a subway walk to the square where you can see McDonalds. At this very square you will find a marked bus stop. You need a taxi bus #221, #145 or #175. You should go in this bus till the cross of Pushkinskaya (Пушкинская) and Grecheskaya (Греческая) Streets. Go on walking on Pushkinskaya for 15 more steps till you find #8 at your left. -OR you can walk to the hostel. After leaving the station walk along Pushkinskaya (Пушкинская) Street - the one with sett! - till #8. 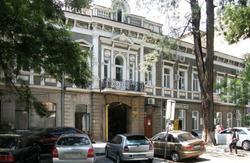 -OR you should hire a transfer from the railway station to hostel for 10 EURO. Streets. 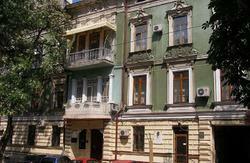 Go down Bunina Street for 2 more blocks till you see the sett street Pushkinskaya. Turn left and go on walking till you find #8 at your left. - OR you can walk to the hostel. At the right side of the bus station building is Kolontaevskaya (Колонтаевская) Street. Walk it all through till it turns to Tiraspolskaya (Тираспольская) Street. After 5 blocks turn right to Preobrashenskaya (Преображенская) Street and go on. At the third block turn right to Grecheskaya (Греческая), go on walking for 4 more blocks till you get the street made of paving stone - Pushkinskaya. Then turn left and walk till #8. - OR you should hire a transfer from the bus station to hostel for 10 EURO.